Get ready to give, New Mexico! 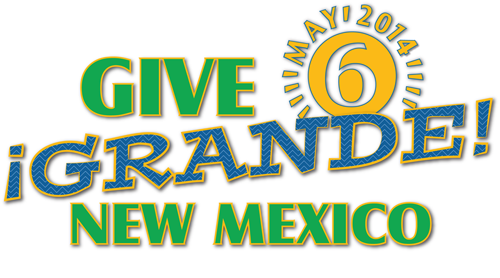 On May 6th, the Santa Fe Watershed Association is participating in the Give ¡Grande! NM fundraising event. Help us make this day a success by letting your friends and family know about the event, and by donating on May 6th! In celebration of the 100th Anniversary of Community Foundations, The Community Foundation Coalition of New Mexico(Coalition), comprised of the Albuquerque, Taos, Southern New Mexico, New Mexico and Santa Fe Community Foundations, is supporting New Mexico to participate in a national day of community giving. The nationwide initiative, Give Local America, also takes place May 6, 2014. Over 100 communities across the US, with the help of their own community foundations, will host local giving events to support local causes and organizations. Each local gift will be amplified with dollars from a national incentive pool of funds, plus New Mexico will also have its own, additional incentive prizes! This 24-hour event, led by the Coalition, will raise as much money as possible for our local nonprofits via easy-to-use online fundraising. It will reignite the spirit of giving in our communities and provide opportunities for statewide nonprofits to get their creative juices flowing, while creating fun, engaging events for donors, old and new. Help us make this an event to remember! https://www.santafewatershed.org/wp-content/uploads/2019/03/logo-Santa-Fe-Watershed-Association-210px.png 0 0 Kate Rollins https://www.santafewatershed.org/wp-content/uploads/2019/03/logo-Santa-Fe-Watershed-Association-210px.png Kate Rollins2014-04-06 19:53:502019-03-11 18:40:08Give Grande NM!